EOD trading signals (eod: end of day) are trading signals that are generated off the daily price bars after the trading day is finished. These do not require monitoring during the trading day, as the complete daily price bar is required to generate the signal. The types of end of day trading signals are essentially the same as the signals you may generate in other timeframes using your best trading signals. End of day trading signals are more significant because as you look at progressively shorter and shorter timeframes the markets generally become more random and noisy. For example, the amount of random noise in a 1 minute bar chart is much higher as a proportion of total price movement than the amount of noise in a daily bar chart. This means that eod trading signals should be more significant than signals generated on shorter term charts like the 1 min, 5 min, 1 hour or 4 hour bar chart. This is because with end of day data you can choose when you place your trades across the trading day – you can place your orders at the open, the close and you can place stop or limit orders that will get you in or out if your conditions are met. Using eod trading signals for your trading systems also gives you much more time to act. You have time to do your analysis between the close of the market and the open then next day (or even the close the next day if that is when you place your trades). In my view the most significant benefit of using eod trading signals as opposed to shorter term data is that your trades will be longer. This means you can generate a higher average profit per trade than you can with intraday data and short term trading signals. This is important because the higher your average profit per trade, the less significant the impacts of commission and slippage. This means that you will be more likely to remain profitable over time. 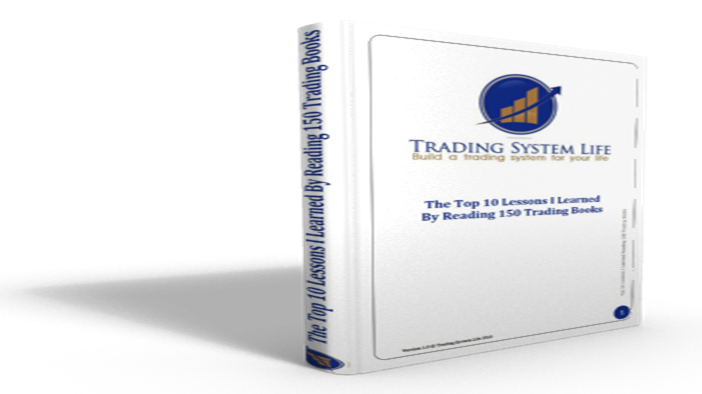 The potential disadvantage of using end of day trading signals is the accuracy with which you can place your trade. If you want to very precisely time your entry triggers to try to squeeze every last bit out of a trade then you may benefit from using shorter term data. In my experience however, the return for effort from trading shorter term was not worth it given how much money can be made on daily bars and the high level of flexibility eod trading signals give you to enjoy your Life! Especially for new traders I would suggest that daily price data with eod trading signals is a good place to start. Once you are consistently profitable using this approach then consider shorter timeframes if that fits your objectives and your lifestyle. If you are trading stocks and futures where the markets are not open 24 hours, then end of day trading signals are generated at the close of the day. This means you have the time to respond before the market opens the next day. So for stocks and futures, all of the above discussion holds true. Forex / foreign exchange, however, is a different story. When markets trade 24 hours like the forex markets, the daily price bars are somewhat more arbitrary. The close is generated based on the prevailing price at a particular time, such as 5pm New York time. The opening price would be determined by the price of the first trade after 5pm New York time. Therefore in the Forex markets the meaning of eod price signals is somewhat different, and the flexibility and time to act benefits discussed above are potentially less relevant depending on your trading strategy. If you are developing a forex trading system and you want to use end of day data, then just keep in mind that the open is immediately after the close. So it will probably not be reasonable to assume you place your trades at the opening price (but it may be ok to assume you place your trades at the close of the following day). Having a high quality data to generate your end of day trading signals is critical to your trading success. Many novice traders attempt to scrape by using free data from the internet. The risk of errors in free data is high and the data is typically not cleaned or adjusted for any of the corporate actions such as stock splits. Your trading signals are too important to risk on low quality data! The cost of high quality, premium price data for most of the markets you can trade is very reasonable. Most data providers provide an end of day data download service that performs all of the necessary data cleaning and filtering for you. Get a free month data subscription - click here. Metastock EOD Trading Software is perfect for monitoring your EOD Trading Signals. Get an extended trial of Metastock Software and Data (3 Months for the Price of 1) by clicking the logo.